Being healthy requires a combination of physical activity and good nutrition. However, with so many mixed messages in the media about the latest exercise and diet trends, many people are confused and don’t know where to start. Now, the answer is simple: Choose your Cairns personal trainer experts at Studio A Health and Fitness! The owner of Studio A, Angela Armstrong, and her team, are passionate about assisting their clients to attain their health and fitness goals. Uniquely qualified, the team of trainers and exercise scientists at Studio A are able to create fitness and nutritional programs that specifically complement the needs and goals of each client. Our extensive experience and qualifications allow us to accomodate all ages, fitness levels, health situations and dietary requirements. On your first visit to Studio A, our team will sit with you to discuss your goals, personal preferences, training time suitability, physical injuries, and any special physical and dietary needs. This ensures that we are able to create suitable exercise and nutrition plans to suit your individual needs. We will then apply our expert skills and knowledge to create plans that will help you reach your goals in a realistic and achievable manner. Prefer training outdoors or in a personal, indoor studio? Have a family? Busy work schedule? Prefer training with a buddy? We take into account all of these things to ensure that you not only meet your goals, but enjoy the journey along the way. 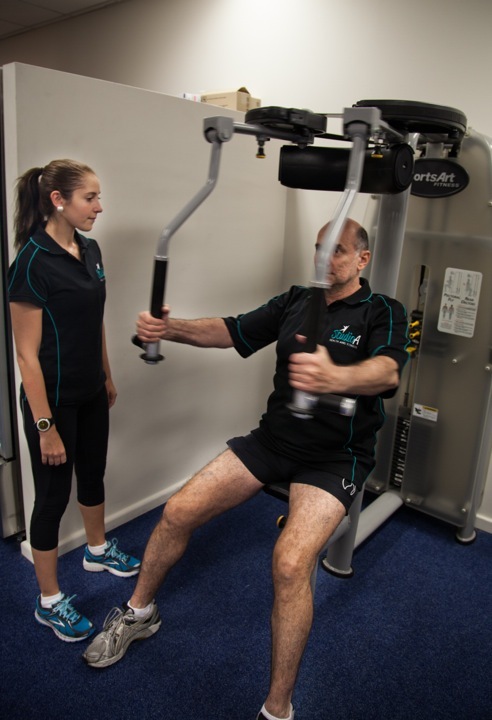 Offering personal training sessions, indoor small group sessions, and outdoor large group training, our Cairns personal trainers at Studio A ensure even the busiest of our clients can fit exercise into their week. No matter what your fitness and health goals are, the Studio A team will work with you and support you every step of the way.